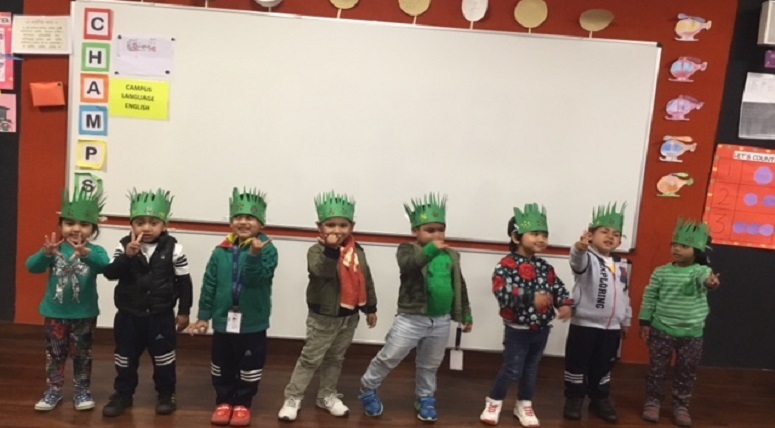 ‘Green Day’ was organised and celebrated with great zeal and enthusiasm by the little ones of Manav Rachna International School, Mohali. The toddlers and the staff came to school dressed in pretty green attires that looked so eco-friendly. 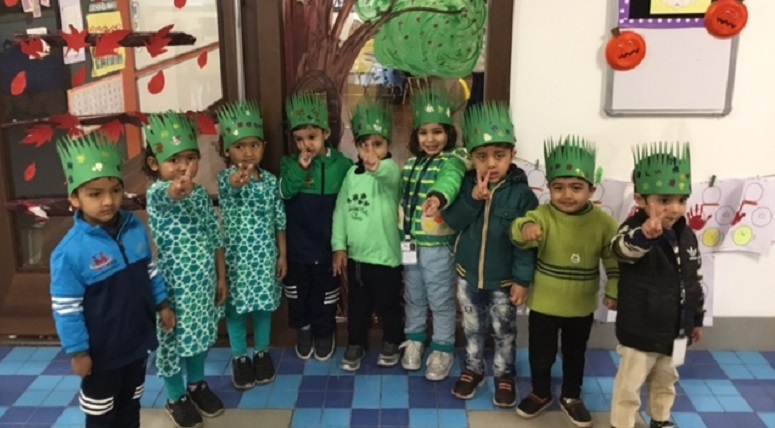 The classrooms and corridor were beautifully decorated in green. The children were encouraged to identify green objects from their immediate surroundings and they came up with the most out of the box answers. They also identified and named various green fruits, vegetables and trees. Many activities and games pertaining to the colour of the day like the ‘Green Colour Hop’ were organised for the little ones. 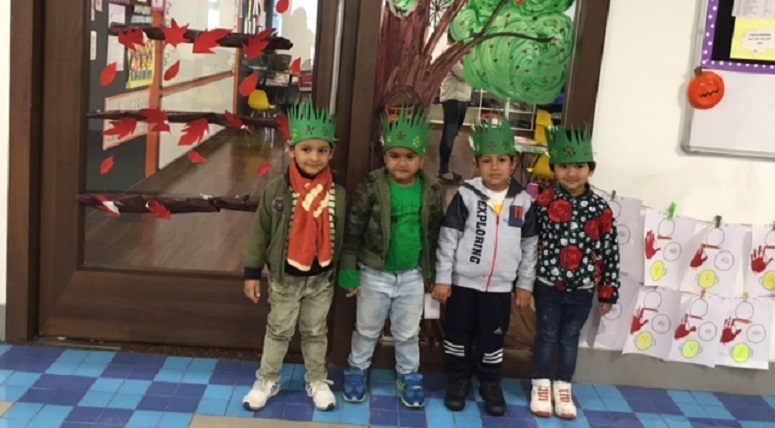 The classrooms were beautifully decorated with flash cards, balloons & green objects. 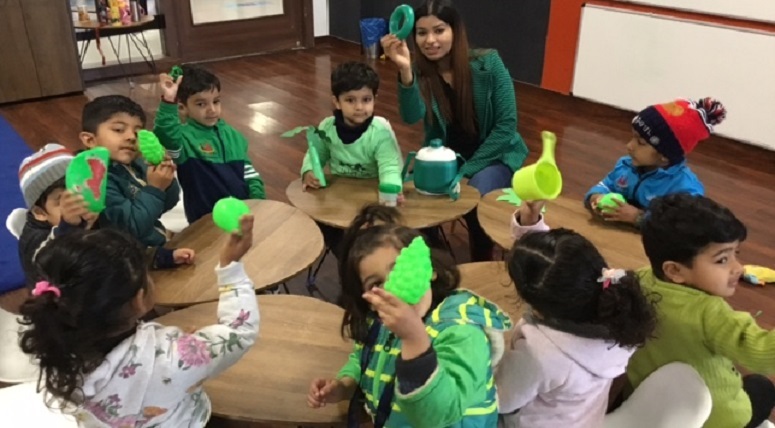 It was quite a green and clean learning experience for our Toddlers! !